This is my rendition. 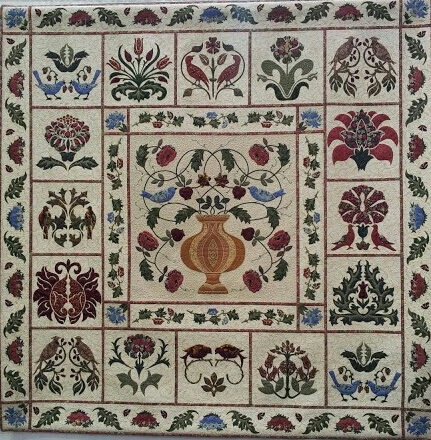 It is not a large quilt, only 40" x 48". I quilted it with a baptist fan pattern. It is my turn to choose the next one we will make. Hmmmm choices, choices!! I'll let you know what I decide. 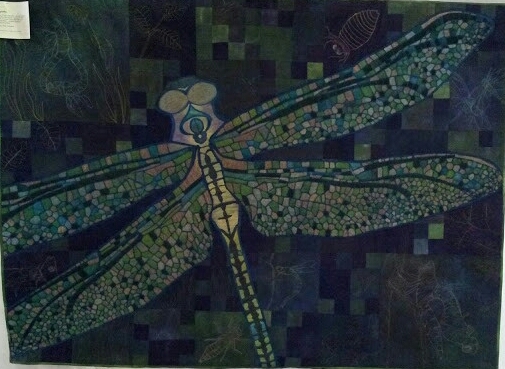 Now I am going to empty my studio and Hubby and I are going to redecorate it over the next 4 days. It is 6 years since it was done and it is looking decidedly shabby. A good excuse to have a clear out I guess. 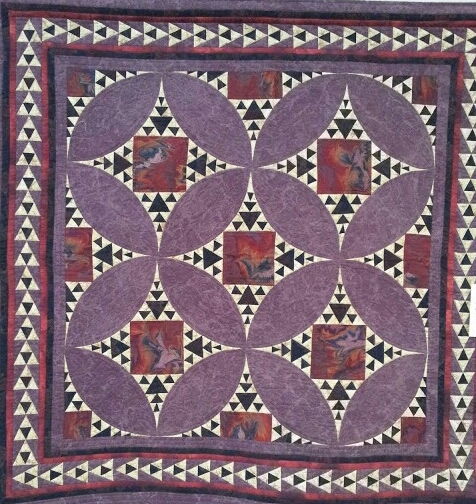 About 18 years ago I made this quilt. I has been well loved and it covers the table under my Christmas tree each year. 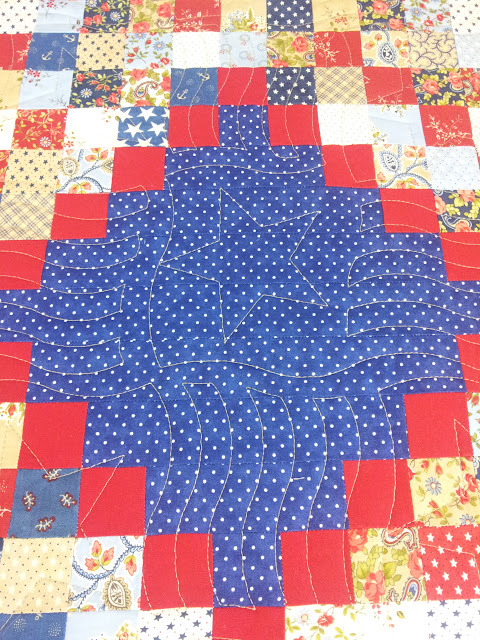 I decided it was about time to make another 'pineapple' quilt. I have recently been seduced by all the lovely red and aqua quilts that are on Pinterest so decided that was the way to go. 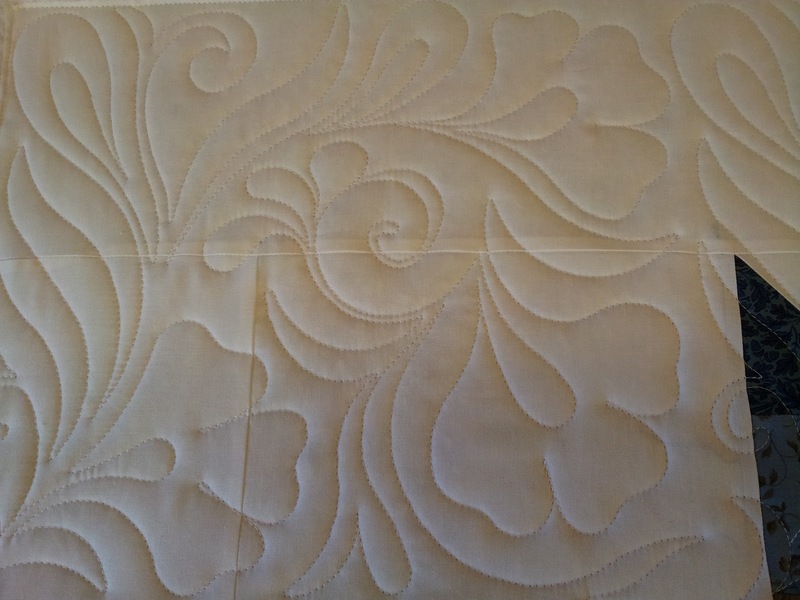 Several hours of ironing, cutting, sewing and trimming later, I'm not sure if it is working for me! 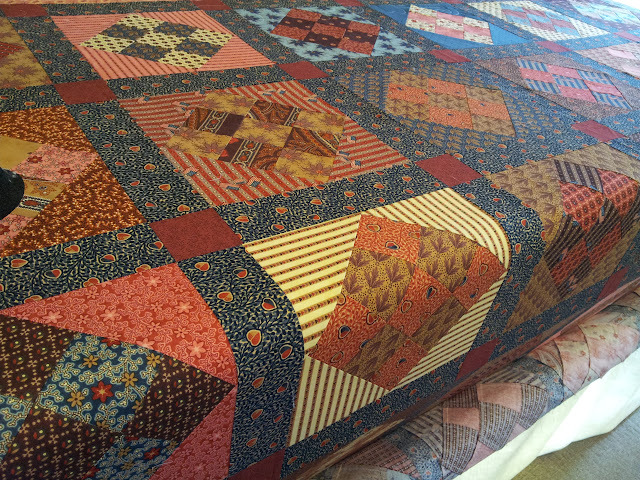 Love the colours but the pattern is not 'crisp' enough. 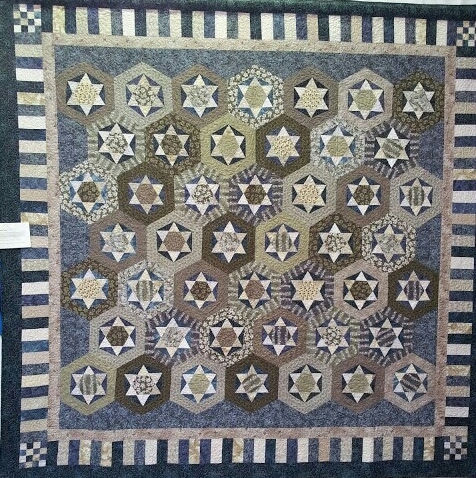 I have decided to finish it at 9 blocks and quilt it as a table topper. Oh well, on the bright side - at least the 'waste' is pretty!!!! Friday was not a total write off. I made the Chocolate Baileys mud cake I found on Pinterest and we will have it for dessert this evening with some vanilla ice cream.....YUM! Have a good Bank Holiday weekend. 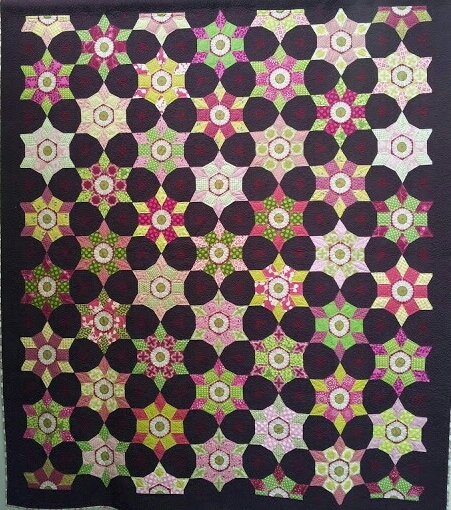 I have never made a 'big block' quilt but I made one this week. Each of these blocks is 36" and with the borders, the quilt measures 82". 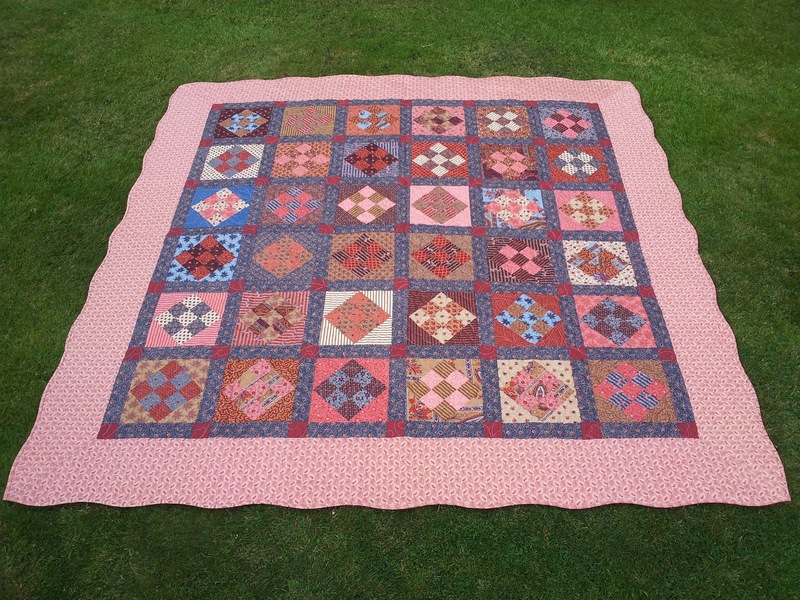 I wanted to make the quilt quickly for a family member who has just found out she has cancer. 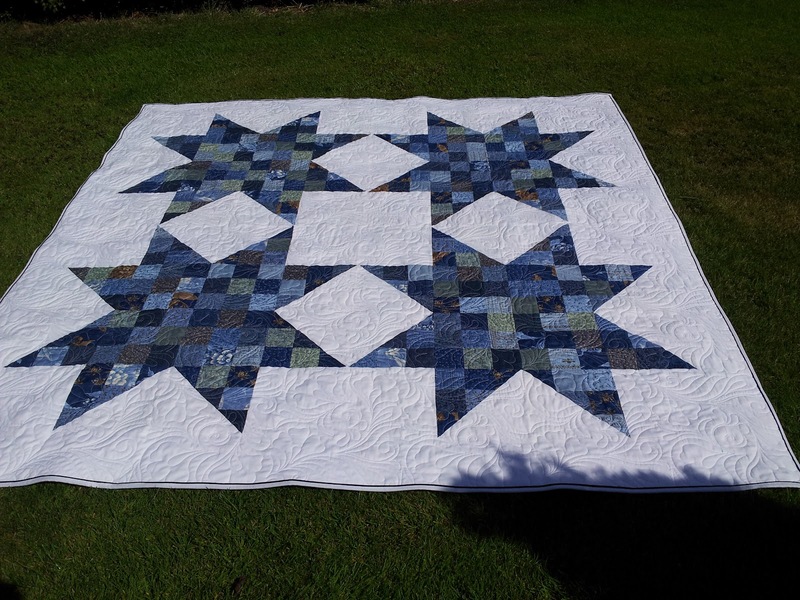 I knew her bedroom was blue and white so made her a blue and white star quilt using an assortment of blue fabrics and white Bella solid. I used this 'magic binding' tutorial to make the binding and then stitched it down by machine to speed up the process. 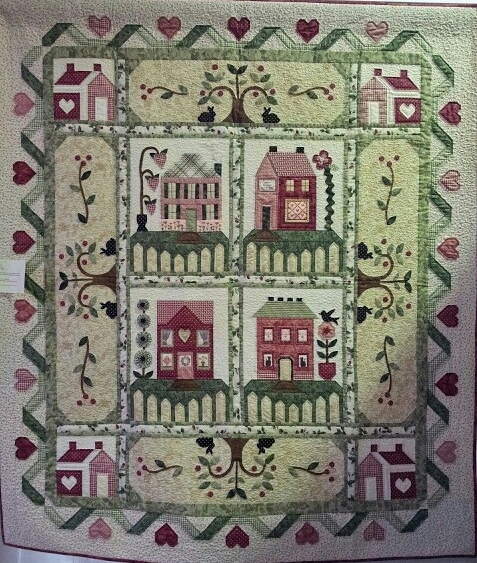 I quilted it with white thread using a pattern called 'Blooming feathers'. 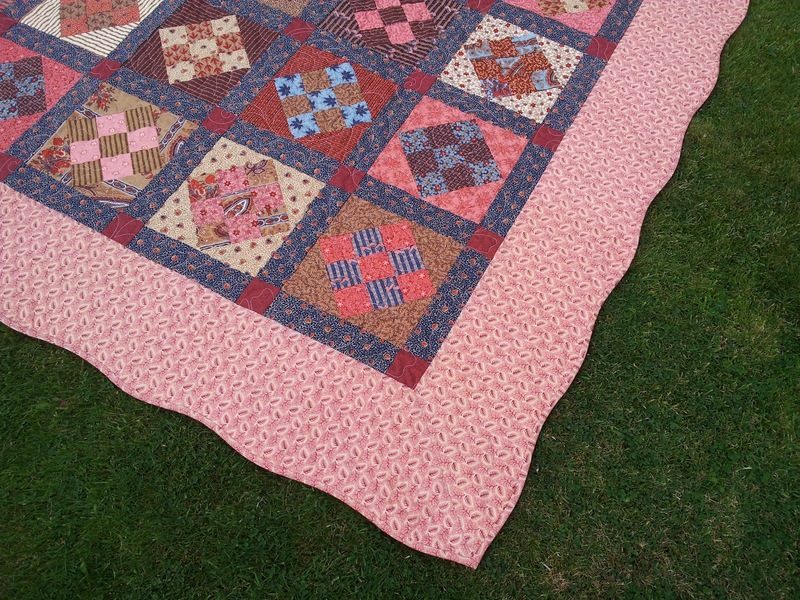 I have parceled it up and posted it this afternoon and I hope she likes her 'fabric hug'. 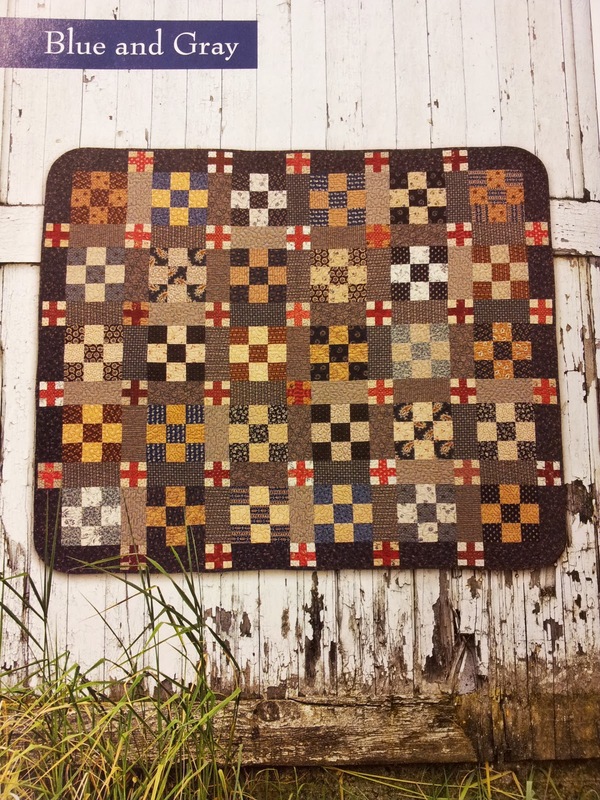 Gosh, it's been over a month since I blogged. We have been away to Rhodes on holiday but I can only blame a weeks absence on that. 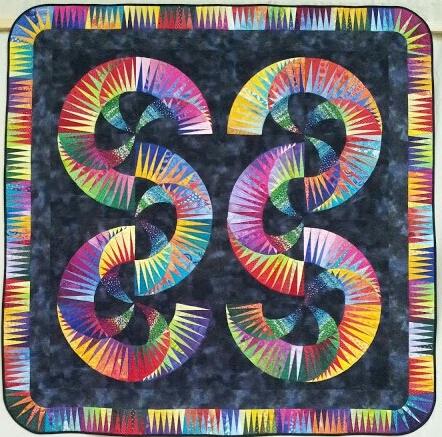 I have been working madly but I have also been doing some piecing for myself. 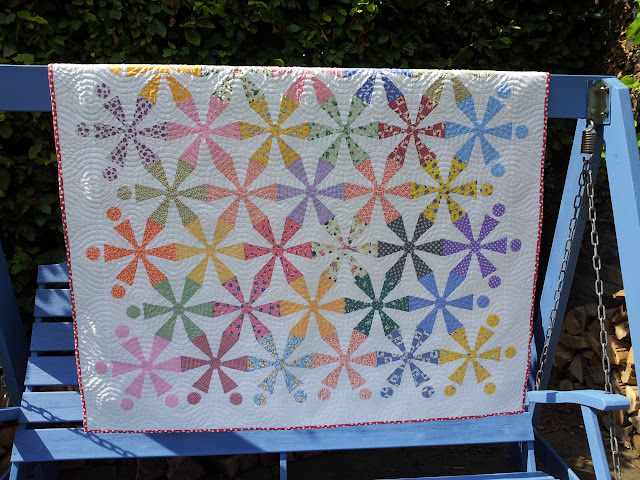 With my ankle healing slowly, I have not been able to run early in the mornings so I have been getting into my studio for 7.30am and using the hour and a half before 9am, when I start work, to sew for myself. 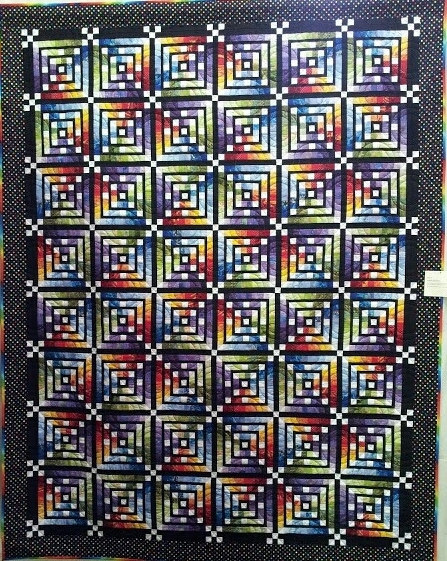 I have been finishing UFO's and also making new quilts. 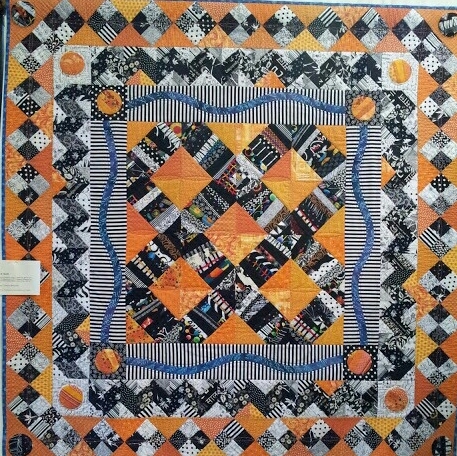 This is a quilt I finished yesterday. I used some of my repro 1930's prints. I love their cheerfulness. 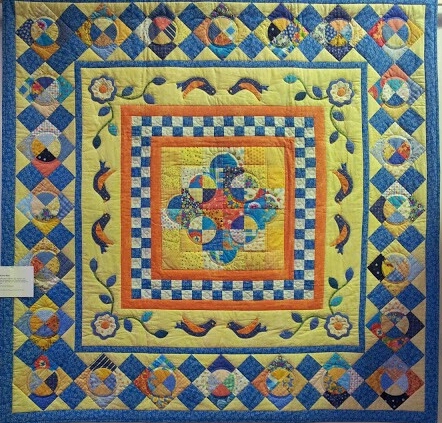 I had seen this block in pattern books made using the foundation pieced method. I don't like foundation piecing because I hate removing all the papers afterwards and if it is pieced over vilene, I feel the blocks are too thick. 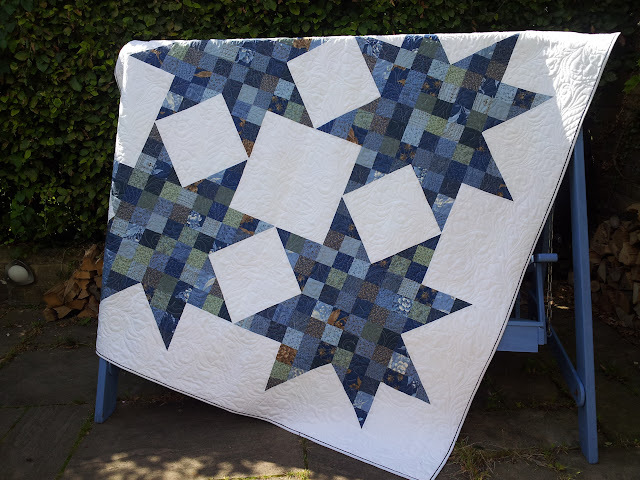 So I pieced it using my 30 degree wedge ruler and then trimmed the block into a hexagon using the 'Marti Michel Hexagon Ruler'. 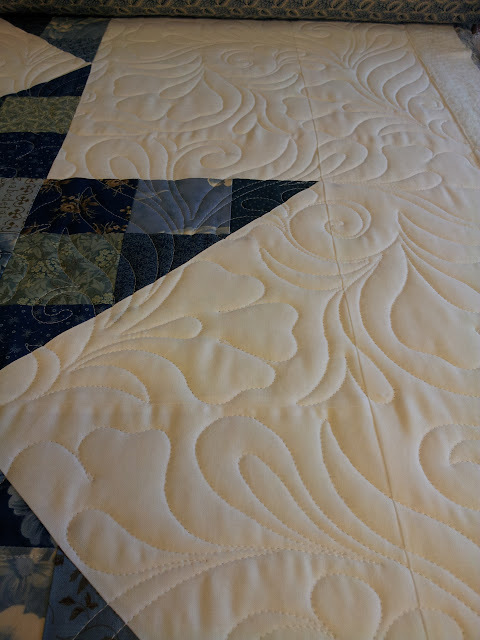 A tad wasteful but a compromise I was prepared to make to get the block I wanted. I appliqued a circle in the centre of the blocks instead of the traditional hexagon and added circles round the outside. 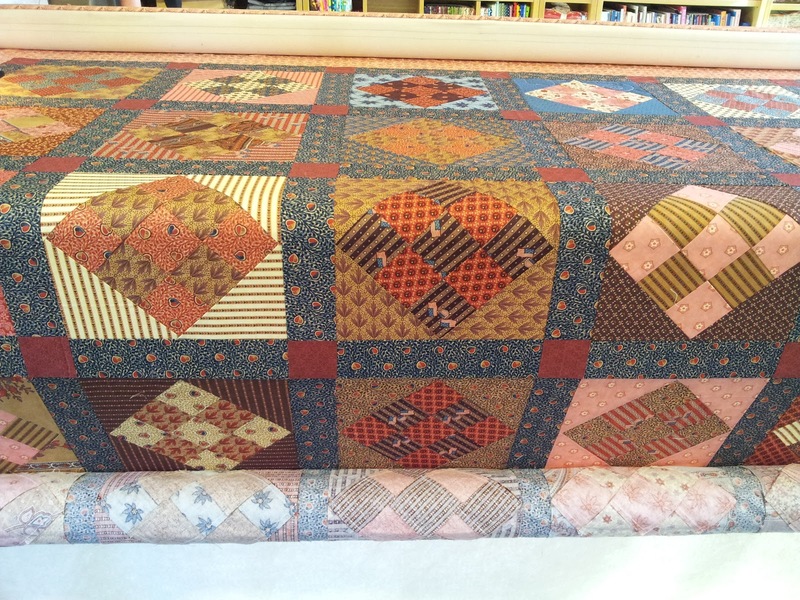 The blocks are joined with lots on inset seams so it was slow going but I have to admit I am pleased with the result. 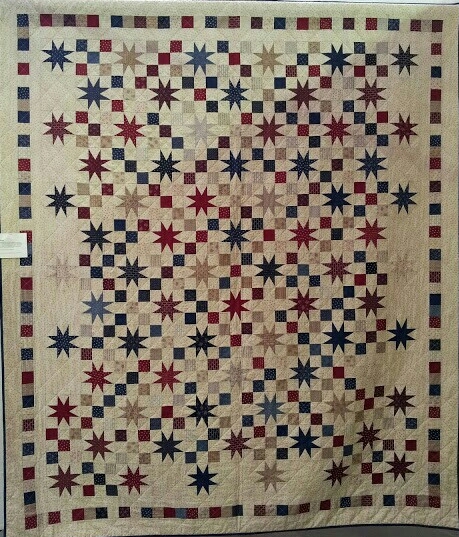 It is not a large quilt, only 56" x 60" but was large enough with all those inset seams. 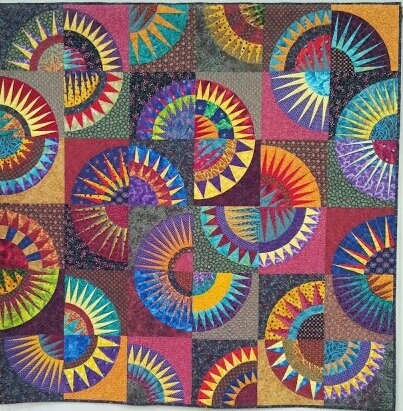 I put it on the Gammill early this morning and quilted it with lots of concentric circles to give an impression of spinning. 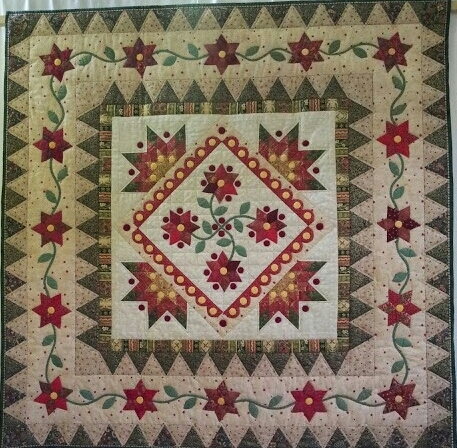 I used a red spotty fabric for the binding and a pale yellow backing. I could get quite used to making smaller quilts! !